You 'get what you pay for' in politics, said Jewish Home MK Nissan Slomiansky. The Likud has a long record of demolitions and freezes. You “get what you pay for” in politics, said Jewish Home MK Nissan Slomiansky. 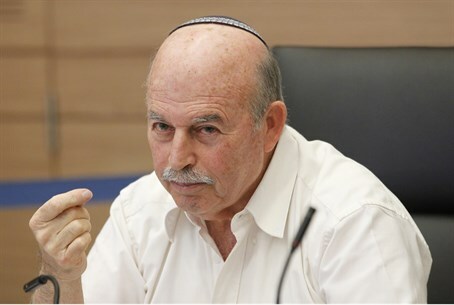 Speaking to Arutz Sheva about the two jarring incidents Wednesday – the demolition of the Draynoff Houses in Beit El and the evacuation of protestors from Sa-Nur in northern Samaria – Slomiansky said that those who voted for the Likud should not be surprised now. “We all have to take stock of our actions,” said Slomiansky. “But let us not say we were surprised. The leopard does not change its spots, after all, it seems, and Ariel Sharon, the man who evacuated Sa-Nur, grew up politically and led the Likud. Next on tap for demolition is a project in Ofra, said Slomiansky. “A committee that was chaired by former High Court Justice Edmond Levy recommended legalizing that and other projects. So far it has not been adopted. We are still following the opinion of Meretz and its leftist supporters.” Approving and legislating the recommendations in the Levy report, said Slomiansky, would be a good start. A day after the tractors that tore down the Draynoff Houses left the site, the Judea and Samaria Council and the Beit El Local Authority will hold a cornerstone-laying at the site – for the construction of new homes there. The new homes, according to spokepeople for the Council and Local Authority, will not experience the same problems the previous structures did – because, unlike previously, all the paperwork for planning and construction is in place before building is to commence. Demolition of the contested Draynoff homes in Beit El, in the Binyamin region north of Jerusalem, took place Wednesday, a day before a High Court deadline for them to be torn down. Legal maneuvers to keep the demolitions from taking place were exhausted after the Court refused to issue an injunction, a move that project supporters had hoped would be implemented after the Civil Authority last week retroactively authorized the building plan for the project.